In the last few years, the requirements to rank a site have shifted. While links remain our primary way to get sites ranked, it’s no longer about brute-forcing your site to the top of the SERPs. The words “trust” and “authority” are being discussed as necessary components of the modern SEO strategy. There’s a definite commonality between sites on the first page. Page one is usually populated by sites with high DA and huge “trust”. This trend is not subsiding. As the years go on we can expect to see that the most effective SEO’s are the ones who are able to successfully imitate the trustworthy sites that Google clearly favors. So how does one increase trust? It can easily be seen that Google trusts sites with high Domain Authority (DA). Simply search in Google for anything and you’re going to see the front page occupied by at least a few links to sites like Wikipedia, Amazon, Facebook, Lifehacker, etc. Google considers these sites to have “trust”, so content issued from these sites typically ranks easily. Hence, it makes sense that we should be increasing our DA. In early 2014, the folks over at Network Empire (Theme Zoom) released a ranking technique called Domain Authority Stacking (DAS), developed by SEO expert Jimmy Kelley. Since then, it’s been talked about and debated upon everywhere people discuss SEO. Some people call it the holy grail while others call it BS marketing hype. I became interested in DAS because it’s been discussed as an effective means to increase DA and rankings at the same time. However, I couldn’t find any reviews or testimonials from people who either weren’t affiliated with Network Empire or selling a DAS product. Perfect for a trust improvement testcase. The technique developed by Jimmy Kelley is complex to say the least, but there’s some general principles as I understand it. You want these DA properties to be linking to all pages of your silos. Not just your homepage. I’ve borrowed some ideas from DAS and added some of my own to come up with a way to both increase the “trust” of a money site, while concurrently adding a considerable amount of juice. The testcase I’m targeting is a live, money-generating, high competition affiliate site. Readers might recognize this testcase from the Trust Pulling testcase I released a couple months ago. In order to prepare this testcase, this site hadn’t been linked to with anything except nofollow, innerpage backlinks for a few months. Over the course of the next two months, I built the monster you see below. The manually created tiers are connected in a very random nature, using various platforms, with varying DA. The anchor text on the manual tiers linking to the higher levels is mostly branded and URL anchors. As you can see, the properties have varying degrees of PA and TF, but the numbers here are unreliable. Moz and Majestic metrics take a long time to propagate up tiers, but I can assure you that link juice is indeed flowing. For example, the Facebook page with PA=1 ranks on page 2. Each of these manually created web 2.0s is backed up by 1-10 multi-tiered web 2.0 properties created by FCS Networker and juiced up by GSA. To set this whole thing up took a lot of damn work. Thank goodness for VAs. To create the manual properties is an effort in itself as I made them high quality, fully custom, with original content. The automatic properties take a while to “bake” and become suitable for linking. So after all this effort, I was certainly anxious to see a positive result. In about 1 month, rankings increased for pretty much every keyword that my site targets. Another interesting side effect which is most clearly illustrated with “Target Keyword #1” is that this technique seemed to take the dance out of the rankings. Apparently the trust helped to stabilize its placement in the SERPs. Metric increases weren’t phenomenal, with the exception of Topical TF which increased 25%. I would like to have seen higher increases and I suspect that the next months will continue to show an increase due to Moz’s slowness to propagate up tiers. As you can see, on this testcase, this technique certainly had a positive effect on the rankings. This site has doubled in revenue and has entered the 5-figures per month zone. Not only that, but it seems as if Google now trusts this site, as we see that dancing (a common sign that Google feels iffy about a site) has settled down. Now that trust has been built for my site, the next step for me will be to start firing high quality PBNs at the site and continue to push up page #1. From here on out, it’s just a matter of juice, which is where PBN’s come in. What kind of sites would I recommend this for? Only high competition sites (either local or affiliate) that make you a lot of money. Setting this up takes some serious work. If you have a trained VA system that can help, then it’s feasible. But on your own, it’s going to be a challenge to repeat on a regular basis. Can Trust Tiers replace PBNs? No. This technique is great for establishing trust for your site and gaining a marginal push in the rankings. It’s a great idea if you get stuck after sending PBN links and you’re not getting any movement. But at the end of the day, link juice is still the foundation behind ranking, and PBN’s are still our best source for that. Hi Matt, nice test with promising results. How many hours of VA work went into that? Hi Gunter, probably about 30-40 man hours. Nice write up Matt. Thanks for sharing! Tumblr (Reblogs ???) -> I had my Tumblr post, which links to the tier above, and had the post reblogged to multiple user Tumblrs. The PA/TF for these Tumblers are varied, thus I didn’t write it down. How many post/articles you posts normally on each web 2.0 ? Do you use Spun content on them or each post is unique on every web 2.0 .? 3-4 articles on each Web 2.0. The first one is empty (no links). I use theleadingarticles for the automatic tiers. Thanks for your reply. so you use theleadingarticles service for tier1 and tier2 also or just for tier 1? All tiers of the automatically-generated (FCS) stacks. Update – PD/DA/TF refreshed today. Total metric movement since the beginning of the experiment. This was a pretty cool experiment. Gonna give this a try myself. Thanks! 1) Why didn’t you use more common web 2.0 platforms i.e wordpress, weebly etc? 2) I see that you have 2-3 accounts from one platform in your manual tier e.g from Storify. Is it something special with Storify or RebelMouse? Wouldn’t it be better if you create every account on a new platform? This way we can have more links from unique domains. 3) When you create manual web 2.0 do you try to make it looks like this is someone else site i.e just a blogger that links to your site because it’s cool or you don’t bother with that and create it like it’s your own site. 4) Do you use exact match keywords in blog urls i.e keyword.wordpress.com or anchors of links that point to MS? If yes how often? 5) Did you post all your articles at once or spread them out during the monh? 1) Stick rates and indexing rates. I have experience with most platforms and I simply find that certain ones give more ROI. 2) Nothing special, just mixing things up. Even having “every account on a new platform” is a pattern, right? 3) Both. I do branded web 2.0s, and I do 3rd party 2.0s. 4) For the 3rd party 2.0s, I did that roughly 20% of the time. 5) Spread out. Maybe 2-4 of them connected per week. Which ones give you the best ROI? Do you have a list? Wouldn’t a “IFTT NETWORK” essentially be the same as DAS with FCS? Perhaps, but depends on how its linked and juiced. Seems like a solid study there. I’m going to implement this on my site and see how it goes. I understand it’s a lot of man-hours and I have a relatively low-competition niche so it should see noticeable ranking increase considering you had a difficult niche(?). I have one query though. it said that you let the automatic properties ‘bake’. Why was that and in what way did you let them bake? Did you get them created and just let them stew for a while or did you put content on them with zero links? How long did you let them bake for? You need to let the Web 2.0s sit for a while without any suspicious outgoing links, otherwise these platforms delete your blogs. Create a post without links for the first post. Then a post with an authority link in the next. Give them a good month before you link to the next tier up. Ah okay, I understand, thanks Matt. Will let them bake and forget about them for a month. For the GSA Links, did you use contextual links only? or did you also use blog comments, image comments, etc…? All of it, but mostly contextual. Hey Matt, did you have to use a VPN or a change of IP for each 2.0 ? Or that didn’t matter? FCS takes care of that. We do a form of what you called “simple DAS”. So far it has been working pretty well. If I can’t get a competitive Local site ranking, I will definitely try this approach. Just out of curiosity, how are you currently doing for those same 3 keywords, was the additional PBN’s you added afterwords enough to push you to the top or was more stacking needed afterwords? Hey John, I flipped that site a while ago, but when I last had my hands on it, it was at #5. Awesome, Matt. I really like how you put up things. I have done this in the past along with some social signals, but this isn’t really that much suitable for high comp keywords, but you can always add more juice with PBNs later on. BTW, do you have the setup for GSA or you outsource it? If you do, I’d like to know a reliable vendor who can provide GSA blasts on demand. Once again, thanks a lot for this valuable post, you’re the man! Hey Priangshu. Thanks for the kind words. Searching for a GSA outsourcer as well. Mine dropped off the map. Hi matt, if i do this, how i have to put the anchor text? how much targeting keywords or branding etc? Total metric movement since the beginning of the experiment. I tried this and it worked! The only difference is I am using sape links for tier 3 and 2 a bit. My question is what if I want to try your strategy for tier 2-4 links (FCS + GSA), should I build new web 2.0 properties for tier 1 and link to them or it doesn’t matter and I can link to the properties that I already have? I don’t plan to remove sape links for now. Glad to hear you got some positive results. What you’re proposing is going to add more juice and authority, but less authority if you had created more tier 1s. Aside from the part about Sape (I don’t use it, nor endorse it)… Build more T1s if you want more authority. Fantastic advice Matt, the diagram really helps a lot in digesting this. I’d love to see an update on the ranking of these two money sites now that it’s been several months. Care to share current status? I flipped this site a while ago, but just checking the SERPs, its ranked 4th. Great stuff Matt. Question. When you are setting up all these accounts, are you setting up under actual company name/info of the money site or are all the properties “separate” from the money site. Thank! The tier 1 social fortress is all branded. Everything else is made to look third party. Do you think that it requires some special knowledge to create automatic tires with FCS and GSA or it would be enough to read some basic manuals? If you think that more deep knowledge is required, can you advise some materials to read? It’s not to difficult to figure it out. For FCS, their member forum has plenty of tutorials which provide more than enough training. For GSA, its all about the right lists. Do you use anchor keyword or brand keyword for tiers that pointing to social fortress. I’ve created account on kiwibox and tribe.net. From which page do you place the links to storify, profile or via blog posts? First, I just want to establish that the point of this whole thing is to be random in your linking. Please make sure that you’re not always linking to storify from kiwibox, etc. About the links, always contextual, so in the blog posts. Nice article, thanks. That said, if I’m going with a normal DAS stack to begin with, I don’t understand how “random” interlinking is going to produce the best results? Surely the reason for interlinking is to control the flow of link juice somehow, and surely there are better or worse ways of doing that for what we’re trying to achieve? Great question. DAS was created by Network Empire. You’ll probably want to follow up with them if you want the reasoning behind why random is recommended. But from my perspective, if we look at the question qualatatively, everything we do in SEO should look random. When we create links, the anchors should appear random. The link velocity should be random, etc. Real, natural, organic links look random. The better we are a looking natural, the better our results are. The same concept can be applied here. > For GSA, its all about the right lists. Thank you again Matt, could you recommend a few good ways to find/create them? Sorry, I’m not up to speed on GSA at the moment. Sick article! I’m considering how to position this on a local site that I want to rank in more than one metro. Should I have separate tier 1 for each specific metro/silo (as I am trying to rank individual landing pages and not the main site)? Is it okay to have individual facebook, G+, etc per silo? Or is it only feasible to do 1 tier 1 per domain? One tier 1 per domain. The point is to boost authority for the site, and in a nutshell, that simply means more stacked tiers of high DA sites going to many pages of your website. It doesn’t need to be silo-segregated. Is this working in 2016? But I am not sure whether this is Trust Tiering or DA Stacking. Could you please take a look and let me know? It doesn’t look like either. Do you know of any service who does similar stuff, if not exact? I have a question about nofollow/dollow. Lets say you have pinterest. Its nofollow linked to your site. So this link from pinterest pass some trust to your money site if this pinterest page has some inbount web2.0 even if this link from pinterest is nofollow? Some seo guys say that nofollow link in 2015(and 2016) pass some juice. And i think thats why many seos are hunting for wikipedia or other high trust sites even if these links are nofollow. What do you think about that? Is it right to say that nofollow link doesnt pass pagerank juice but pass trust juice? That’s a good way to put it. However nofollows do indeed pass some pagerank juice. Think of it like a leaky faucet. I‘m confused, what are the “manually Created Web2.0” you mentioned in the tiers show image? Are they the MS’s social fortrees: FB/TW…? The green circles are the manually created web 2.0 properties that were built by a VA. The linking configuration looks like this: FCS web2.0 blog tiers -> Manually web2.0 blog tiers -> social fortress -> MS. Sometimes the manual web 2.0’s will link directly to the MS as well. 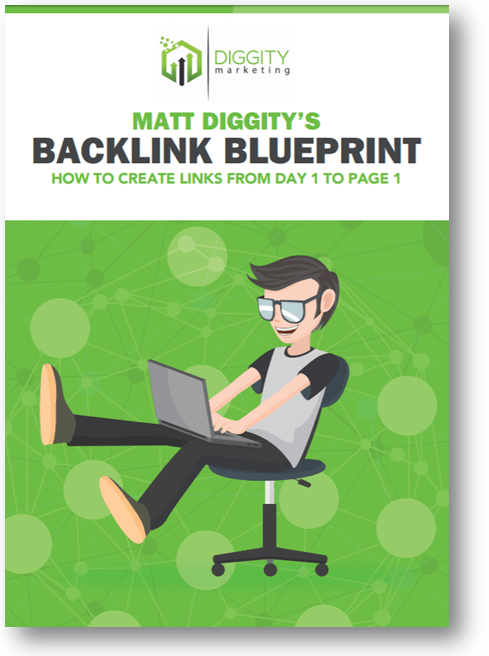 Hey Matt, I forgot to ask you this, when you did the GSA blast do you remember how many links you created (ball park number)? The reason im asking is I know with GSA if you overdue it, you can actually penalize your tiers you’re pointing at (in this case the 3rd tier). It’s been a long time, John. Can’t recall. Always a pleasure reading your stuffs Matt.. Correct me if I’m wrong buddy, doesn’t DAS looks somewhat like tier link building but in a sophisticated way where Tier 1 seems to be Top Social profiles?? Are those brand social profiles that connects to your money site? Also, how do you link to facebook account from web 2.0.. Is it like check my facebook?? I’m not one to speak on what DAS actually looks like, but in my interpretation of it you pretty much got it right. Hi Matt, great article, as usual. I am also establishing DAS for my clients. have you just used GSA on T4 and would you also use it on T3 (I mean GSA spam) or wouldn’t you do this? I hardly ever use GSA anymore. Like once a year if that. When I used to use it, it was on T4. Hi, I had gone through your article on DA Stacking : http://diggitymarketing.com/trust-tiering-stacking-da-to-increase-site-trust/ I was really inspired by the post. Even though I have been searching for a complete process diagram with detailed explanations on this, I couldn’t find any. But this article of yours is an excellent one. I was wondering if the techniques are still applicable in today’s environment with other techniques are more prevalent. Even the slowly disappearing PBNs are more capable than DA Stacking. I would like to know that DA Stacking Can be of any good in the present scenarios. Thanks for stopping by. Glad I could help. I haven’t used stacking in a long time but here’s a recent case study of someone who made it work very well: click here. With regards to PBN’s not working as well as before, I’m not seeing any signs of that though. I have already seen that article and it’s one of the most inspirational one for a starter like me. In fact, it is this article that has taken me to your site .. and tell you what I’m liking it here ..
Great article. DA stacking takes a bit to wrap your head around for sure, but this makes it a bit easier to understand. You stated above that the lower DA sites are closer to your money site. Was that mis-typed and high DA sites are supposed to be linking to your website instead? Just curious. Thanks in advance for clearing this up. No typo. But this is just my understanding of it. I’m not into Google stacking. Doesn’t do much in high competition affiliate so I ignore it. Hey Matt, about the T1 social fortress links. What I am doing now is to put my moneysite homepage link in the profile. With you trust tiering, I understand I have to send links to inner pages, do you do this by creating post in social fortress or you change the URL in profile from homepage to inner page please? 2) gsa -> fcs -> manual web2 -> URLs of social media post -> MS ? 1)… that said I haven’t done this in ages. Not sure if it still works, nor if its necessary. Would you still recommend doing this, Matt? And you seem to be very against the use of GSA for your Diggity and I’m surprised to read you have actually used it for this strategy. No I don’t do this anymore. It’s not worth the ROI (time investment). About GSA… the GSA here in on Tier 4.